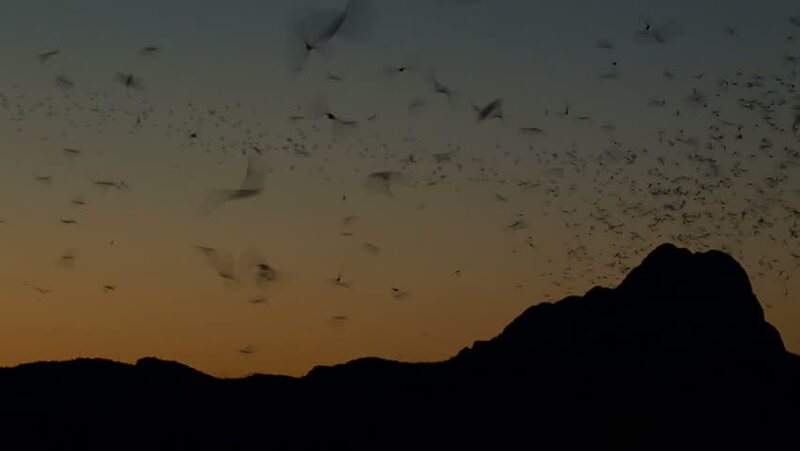 Spooky mountain nightfall, when thousands of nocturnal bats fly into darkening sky in search of insects. sd00:09Desert Joshua Tree Sunset Time Lapse. The sun sets over a peaceful desert landscape. The sunset cast a shadow over the desert and creates silhouettes of mountains and Joshua Trees. hd00:18Sea and sky time-lapse in the sunset.